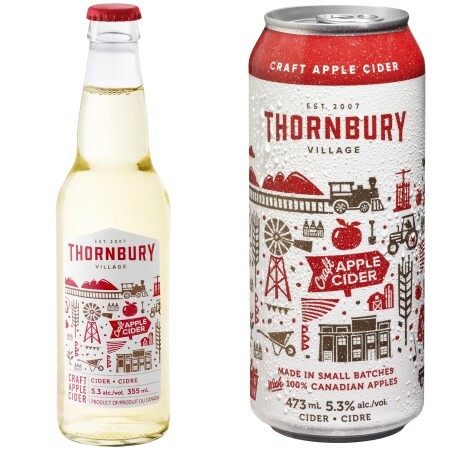 THORNBURY, ON – Thornbury Village Cider House & Brewery has unveiled a revamped look for its portfolio of beer and cider brands, including new names and packaging. Rolling out now in 473 ml cans are Pickup No. 26 Pilsner (previously Pickup Truck Pilsner), Dam Dark Lager (previously Dark Horse Lager), and Ladder Run Amber Lager (previously Jubilee Amber Lager), all of them remaining at 4.8% abv. 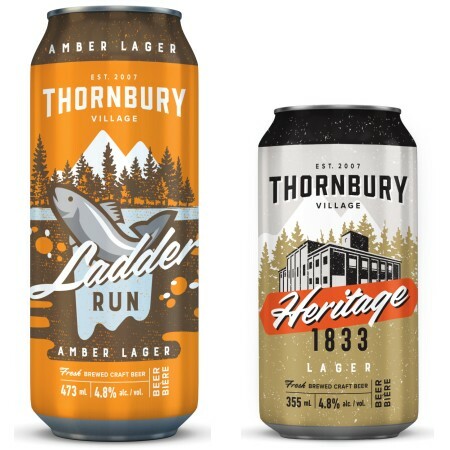 In 355 ml cans, the brewery is offering Heritage 1833 Lager, a German-style Helles that used to be known as Blue Mountain Lager. On the cider side, Thornbury Apple Cider has a new design for its 473 ml cans and 355 ml bottles. 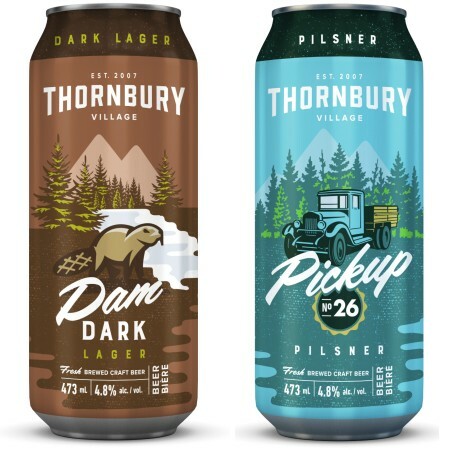 New look cans and bottles of all the Thornbury brands will be available soon at the LCBO (Pilsner, Amber Lager & Cider) and Beer Store (all four beer brands). For more details, see the Thornbury Village website.